Prof. Kellett earned Bachelor of Science degrees in Electrical Engineering and Mathematics from the University of California Riverside in 1997, and the Master of Science and Doctor of Philosophy in Electrical and Computer Engineering from the University of California Santa Barbara in 2000 and 2002, respectively. He subsequently held postdoctoral research positions at Ecole des Mines de Paris (France) in the Centre d'Automatique et Systemes, at the University of Melbourne (Australia) in the Department of Electrical and Electronic Engineering, and at the Hamilton Institute (Ireland), based at the National University of Ireland, Maynooth. 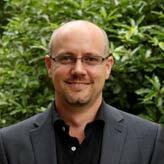 Prof. Kellett joined the School of Electrical Engineering and Computing at the University of Newcastle in 2006. He has taught a range of subjects across electrical, computer, and telecommunications engineering, while his research interests span control, power systems, communication, and information theory. He currently teaches ENGG3860 - Carbon Accounting and Energy Auditing, ENGG4440 - Nonlinear Control and Estimation, and CCL201x - International Climate Change Law and Policy available online via edX and co-coordinated with Dr. E. Aydos (U. Newcastle, Newcastle Law School) and A/Prof. S. Rudolph (Kyoto University). 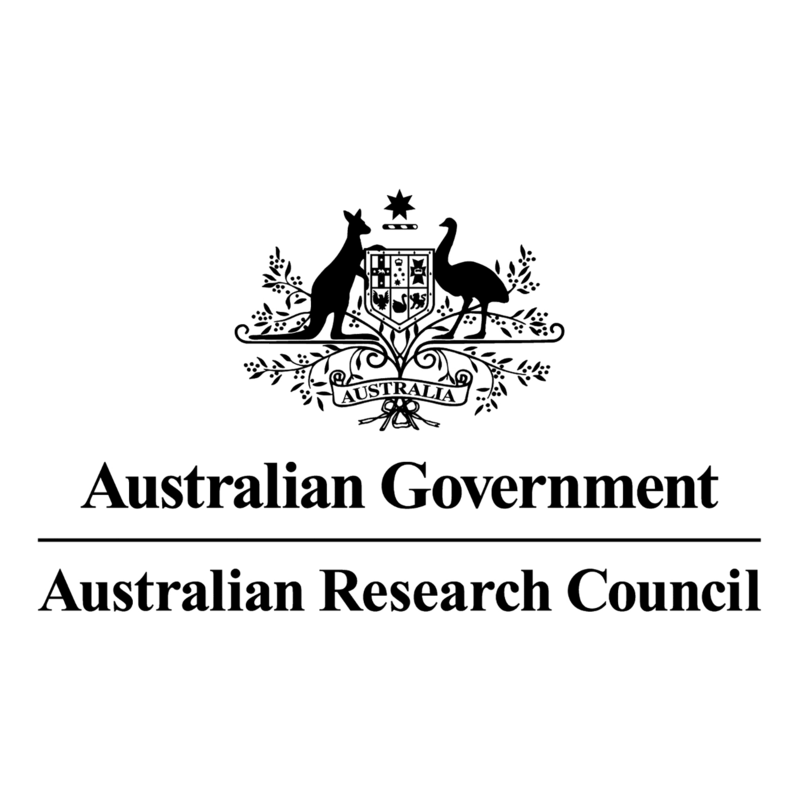 From 2012-2016, Prof. Kellett was supported by an Australian Research Council Future Fellowship. He has been awarded the Vice-Chancellor's Award for Teaching Excellence in the Faculty of Engineering and the Built Environment (2011) and a Research Fellowship for Experienced Researchers from the Alexander von Humboldt Foundation (Germany, 2012-2013). In 2013 he was one of eight Australian researchers selected for the Australia-Japan Emerging Research Leaders Exchange Program jointly sponsored by the Australian Academy of Technological Sciences and Engineering, the Engineering Academy of Japan, and the Japanese Society for the Promotion of Science. In 2012, jointly with co-authors Dr. B. Rüffer (U. Newcastle), A/Prof. P. Dower (U. Melbourne), and Prof. S. Weller (U. Newcastle), Prof. Kellett received the IET Control Theory and its Applications Premium Award for the best paper published in the journal in 2010-2011. 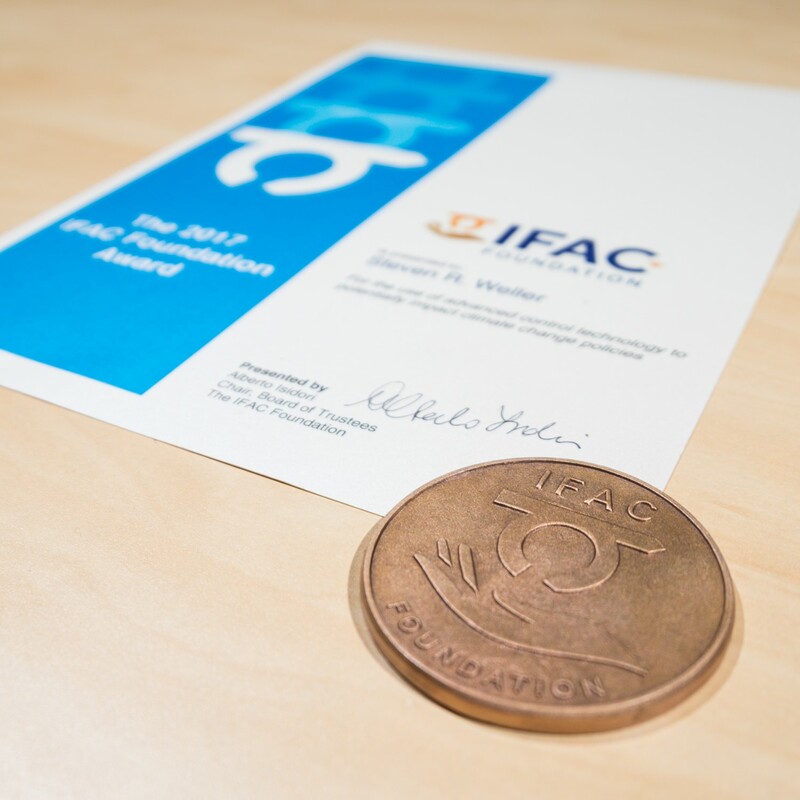 In 2017, jointly with co-authors Salman Hafeez (U. Newcastle) and Prof. S. Weller (U. Newcastle) he received the inaugural IFAC Foundation Award for demonstrating contributions of systems and control techniques in the area of sustainable development. Prof. Kellett is an Associate Editor for the IEEE Transactions on Automatic Control, IEEE Control Systems Letters, Mathematics of Control, Signals and Systems, the European Journal on Control, and was a member of the IEEE Control Systems Society Conference Editorial Board during 2007-2017. Prof. Kellett's research interests are in analysis and design of nonlinear control systems. He is particularly interested in stability and performance of nonlinear systems with applications in power networks, telecommunications, signal processing, social systems, and the economics of climate change. Prof. Kellett has active research collaborations with academic colleagues in Europe, North America, Japan, and Australia. He is an international partner investigator on research projects funded by the German Science Foundation (DFG) and the Icelandic Research Fund (RANNIS). In addition to co-authoring over 100 peer-reviewed scholarly articles, he has presented invited research seminars at over 30 universities and research institutions. He is currently an Honorary Research Fellow at the University of Melbourne and an International Senior Fellow at the University of Bayreuth (Germany). Prof. Kellett is a member of the Society for Industrial and Applied Mathematics (SIAM), a Senior Member of the Institute of Electrical and Electronic Engineers (IEEE), an Accredited Member of the Australian Mathematical Society (AustMS), and a member of the International Federation on Automatic Control Technical Committee on Nonlinear Control Systems. IEEE Previous small-gain results for interconnected integral Input-to-State (iISS) systems have been restricted to systems that are strongly iISS. This paper removes this restriction by allowing cross terms between external inputs and states in the Lyapunov decrease of component systems, and subsequently constructing a non-separable Lyapunov function. An example demonstrates the use of this new small-gain formulation. © 2016, Springer-Verlag London. In analysis and design of nonlinear dynamical systems, (nonlinear) scaling of Lyapunov functions has been a central idea. This paper proposes a set of tools to make use of such scalings and illustrates their benefits in constructing Lyapunov functions for interconnected nonlinear systems. First, the essence of some scaling techniques used extensively in the literature is reformulated in view of preservation of dissipation inequalities of integral input-to-state stability (iISS) and input-to-state stability (ISS). The iISS small-gain theorem is revisited from this viewpoint. Preservation of ISS dissipation inequalities is shown to not always be necessary, while preserving iISS which is weaker than ISS is convenient. By establishing relationships between the Legendre¿Fenchel transform and the reformulated scaling techniques, this paper proposes a way to construct less complicated Lyapunov functions for interconnected systems. Hadron synchrotrons accelerate protons and heavy ions to very high energies. The stabilization of the longitudinal beam dynamics in these particle accelerators is a demanding control problemsince typical sample times of the beam-feedback loop are on the order of several ìs to several hundred ns. This work examines if model predictive control is a suitable candidate for longitudinal beam feedback in synchrotrons. We show that, by combining an appropriate problem formulation with efficient numer-ical algorithms, the optimization problem can be solved sufficiently fast on a high-end FPGA. Realistic simulations for the synchrotron SIS18 of the GSI Helmholtz Center for Heavy-Ion Research illustrate that the proposed control scheme can lead to a significant improvement of the control performance. We present a novel method to compute Lyapunov functions for continuous-time systems with multiple local attractors. In the proposed method one first computes an outer approximation of the local attractors using a graphtheoretic approach. Then a candidate Lyapunov function is computed using a Massera-like construction adapted to multiple local attractors. In the final step this candidate Lyapunov function is interpolated over the simplices of a simplicial complex and, by checking certain inequalities at the vertices of the complex, we can identify the region in which the Lyapunov function is decreasing along system trajectories. The resulting Lyapunov function gives information on the qualitative behavior of the dynamics, including lower bounds on the basins of attraction of the individual local attractors. We develop the theory in detail and present numerical examples demonstrating the applicability of our method. Copyright © DCDSB. 2015. Lyapunov&apos;s second or direct method is one of the most widely used techniques for investigating stability properties of dynamical systems. This technique makes use of an auxiliary function, called a Lyapunov function, to ascertain stability properties for a specific system without the need to generate system solutions. An important question is the converse or reversability of Lyapunov&apos;s second method; i.e., given a specific stability property does there exist an appropriate Lyapunov function? We survey some of the available answers to this question. © 2014 IEEE. Input-to-State Stability (ISS) and the ISS-Lyapunov function are useful tools for the analysis and design of nonlinear systems. Motivated by the fact that many feedback control laws, such as model predictive or event-based control, lead to discontinuous discrete-time dynamics, we investigate ISS-Lyapunov functions for such systems. ISS-Lyapunov functions were originally introduced in a so-called implication-form and, in many cases, this has been shown to be equivalent to an ISS-Lyapunov function of dissipative-form. However, for discontinuous dynamics, we demonstrate via an example that this equivalence no longer holds. We therefore propose a stronger implication-form ISS-Lyapunov function and provide a complete characterization of ISS-Lyapunov functions for discrete-time systems with discontinuous dynamics. The use of comparison functions has become standard in systems and control theory, particularly for the purposes of studying stability properties. The use of these functions typically allows elegant and succinct statements of stability properties such as asymptotic stability and input-to-state stability and its several variants. Furthermore, over the last 20 years several inequalities involving these comparison functions have been developed that simplify their manipulation in the service of proving more significant results. Many of these inequalities have appeared in the body of proofs or in appendices of various papers. Our goal herein is to collect these inequalities in one place. © 2014 The Author(s). © 2015 IEEE. Input-to-state stability (ISS) with respect to two measurement functions subsumes many ISS-type properties such as input-to-output stability (IOS) and state-independent input-to-output stability (SI-IOS). It also subsumes a version of incremental ISS. In this paper, we develop the notion of ISS with respect to two measurement functions for discrete-time systems and highlight the importance of commensurability of the two measurement functions and compactness of the zero set of the lower measurement function. Of particular interest, we show that the obvious extension of an implication-form ISS-Lyapunov function does not imply ISS with respect to two measurement functions. © 2015 Engineers Australia. In this paper the design of nonlinear model predictive control (NMPC) for multi-mega watt wind turbines is addressed. In an attempt to minimize energy production costs, we propose an NMPC scheme to maximize the wind energy harvest while mitigating structural loads. The proposed controller relies on noisy look-ahead wind field information obtained via LIDAR measurements. By means of simulations we demonstrate the advantages of the proposed NMPC approach. © 2015 Engineers Australia. In this paper, we study the notion of ISS with respect to two measurement functions for discrete-time systems. An example in previous work shows that, in the two measurement function case, the existence of an implication-form ISS-Lyapunov function does not imply ISS. Here, we define a "strong" ISS-Lyapunov function and demonstrate that its existence is equivalent to ISS with respect to two measurement functions. © 2015 Engineers Australia. Recently it has been shown that general bilinear systems satisfy a nonlinear L2-gain property, which is a qualitatively equivalent special case of the more general integral input-to-state stability (iISS) property. By exploiting a small-gain theorem that attends this nonlinear L2-gain property, a nontrivial example of a feedback interconnection for general bilinear systems is constructed that preserves this nonlinear L2-gain property, and hence iISS, in closed loop. Scaling of Lyapunov functions has been a central tool in analysis and design of nonlinear systems. In this paper, the essence of some scaling techniques used extensively in the literature is reformulated in view of preservation of dissipation inequalities of integral input-to-state stability (iISS) and input-to-state stability (ISS). The iISS small-gain theorem is revisited from this viewpoint. Preservation of ISS dissipation inequalities is shown to not always be necessary, while preserving iISS which is weaker than ISS is convenient. By establishing relationships between the Legendre-Fenchel transform and the reformulated scaling techniques, this paper proposes a way to construct less complicated Lyapunov functions for interconnected systems. Several qualitative equivalences are demonstrated between various robust stability prop-erties for discrete-time nonlinear systems. In particu-lar, two different summation-to-summation estimates are shown to be equivalent to the standard defini-tions of Input-to-State Stability (ISS) and integral ISS (iISS), respectively. Furthermore, ISS and iISS are shown to be qualitatively equivalent, via a nonlinear change of coordinates, to linear and nonlinear l2-gain properties, respectively. These equivalences, together with a previous result on the equivalence of 0-input global asymptotic stability and iISS provide interesting relationships between discrete-time robust stability properties that do not hold in continuous-time. © 2014 IEEE. We present a design of a predictive control scheme for longitudinal beam dynamics in heavy ion synchrotrons. Specifically, we consider a linear-quadratic model predictive control (MPC) approach, whereby the quadratic program is solved via a fast gradient method. Furthermore, we investigate whether the fast gradient method allows for real-time feasible implementation of the proposed approach on a field programmable gate array (FPGA). Our results indicate that sampling rates in the order of 1MHz are achievable. Stability and performance of networked control systems has been a recent area of interest in the control literature. The inclusion of a shared communication network between plant and controller inevitably leads to occasional random data loss. We provide novel results relating to the probability of such a system being globally asymptotically stable or input to state stable. Copyright © 2005 IFAC.